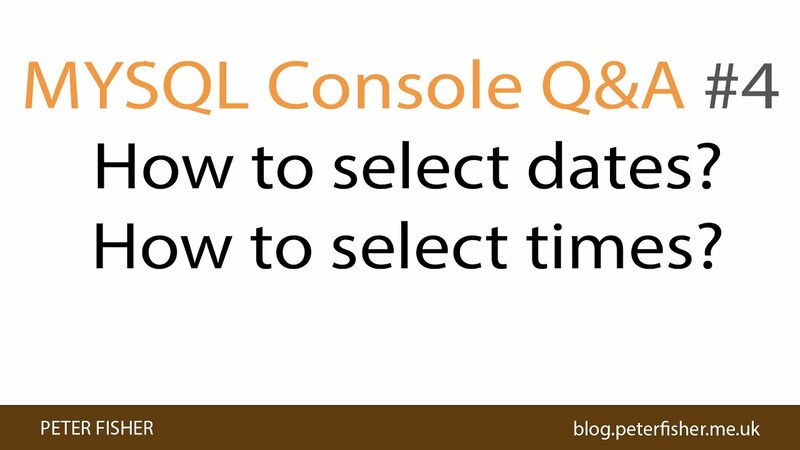 MYSQL Console Q&A #4 How to Select Dates? How to Select Times? 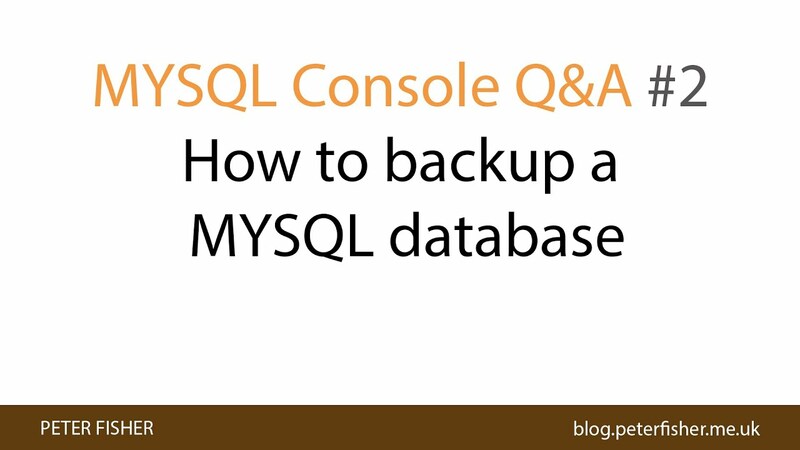 In the fourth MYSQL Console Questions and Answer episode we take a look at a question from Steve Baker. In the second MYSQL Console Questions and Answer episode we take a look at a question from Benham Anisi. 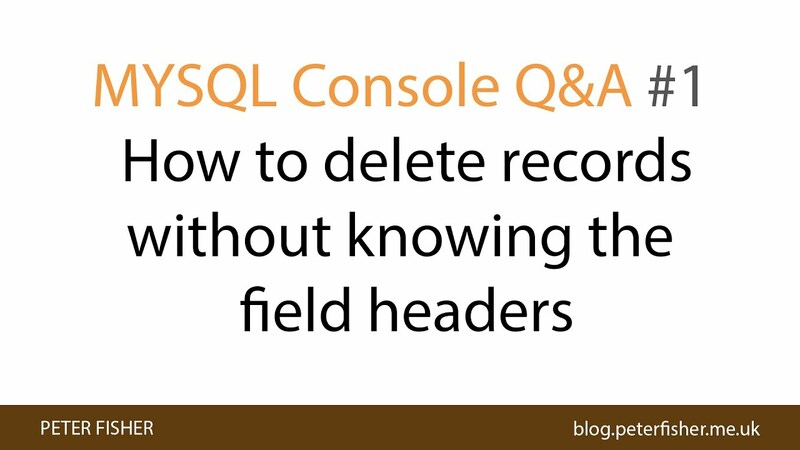 In the second MYSQL Console Questions and Answer episode we take a look at a question from Emanuel Chinyaukira. 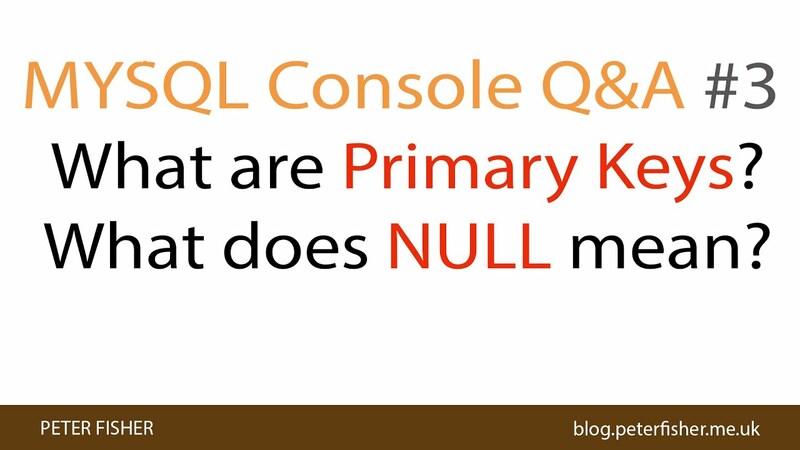 In the first MYSQL Console Questions and Answer episode we take a look at a question from Praveen Kadam.